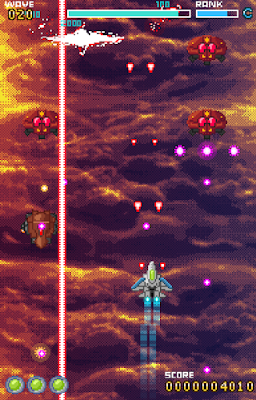 Indie Retro News: Hyper Blitz - Retro Arcadey shoot em up, that's free to play! Hyper Blitz - Retro Arcadey shoot em up, that's free to play! Waves of enemies, lasers blasting in all directions, power ups and upbeat soundtracks, yes it just has to be a Shoot em up, and this one is called ' Hyper Blitz ', developed by Christian Yngvesson. A PC game that is completely free to play, you are the last fighter pilot on a mission to defend humanity as you fight your way through as many waves as possible and enter the hall of fame. Will you top the leader board, or will you die with just a few points to your name?